Manage sponsored funding and maintain compliance. Grants Management is the Workday functional area for Georgia Tech's post-award processes. 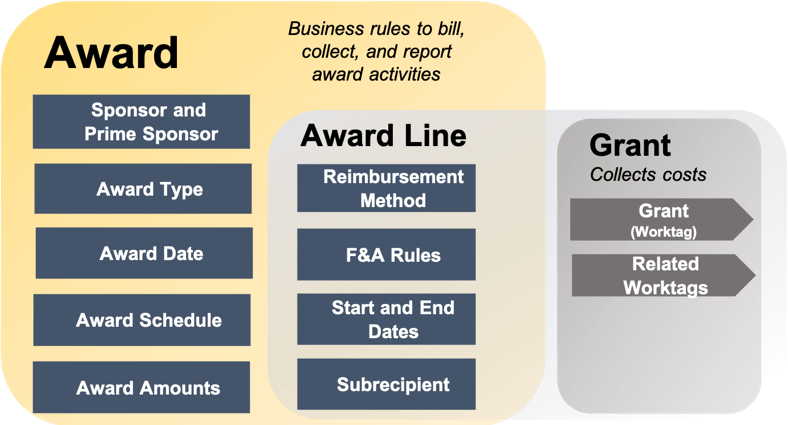 In Grants Management, central offices set up awards and accompanying details such as indirect cost rates, budgets, cost share, and subawards. Departments record grant expenditures and request administrative updates for new award line/grants, changes to grant attributes, and budget amendments. And Central offices manage sponsored billing, financial reporting, and award modifications – all in Workday. GTRI will continue to use Deltek Costpoint to manage post-award Financial activity and integrations, but a GTRI Change Code Worktag will be assigned to classify it in Workday. The award is the core concept and function of Workday Grants Management. An award can be created for each notice of award that we receive from the sponsor. The award allows us to store important information such as the sponsor, beginning and end date, and the funded amount. Each award will have one or more grants such as a prime grant, cost share grants, subaward grants, participant support grants, and grants for collaborating researchers. The award line allows us to associate the grant to the award. 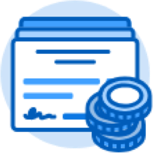 The award line stores things about the grant that we cannot store in the grant itself such as billing instructions, indirect cost instructions. The grant worktag is used to capture costs. We can charge a grant, but we cannot charge an award or award line. Each award ID will have an alpha indicator- AWD followed by a 6-digit auto generated sequential number. Each grant ID will have the alpha indicator- GR- followed by an 8-digit auto generated sequential number. In Workday you can search for a grant by the grant ID, the PI name, or by the grant title text. Grant prefixes will help to classify the type of grant.